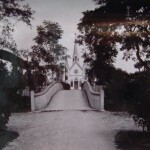 The leprosarium of Groot Chatillon was founded in 1897 on the edge of Suriname, in the district of Dombourg. 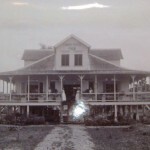 The official leprosarium retains the name of the farm property where it was established. 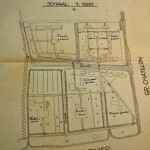 When it was established, there was a main administrative building with two annexes. 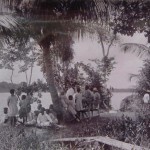 There were nine houses with apartments for married and single employees, a house for the Catholic missionary currently traveling in Upper Suriname who occasionally visited, a waiting room for visitors; a pharmacy with a little room for treating employees, a shared kitchen for the healthy employees, a common bakery, food store, a carpentry workshop and various other outbuildings. 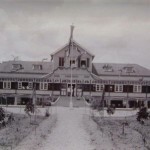 At its height, the administrative staff included the director of the institution, who was the Director of the Civil Medical Service, the chief doctor of sanitarium, a matron, a police officer, 24 men (nurses, workers and administrative employees), and 7 women (nurses). In the isolated section, there was a porter’s lodge with stores for the sick, a six-cell prison, a twenty-six bed hospital, a laundry, a sewing workshop, several churches, a theatre, a recreation pavilion, and various combinations of dwellings. Married people had their own houses, with several rooms, already furnished. From 1910 to 1921, the numbers of people varied between 105 and 146. 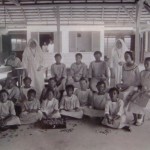 On 15 February 1922, there were 96 men, 36 women, and 5 healthy children of less than one year old, a total of 137. 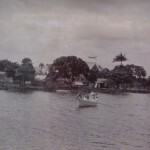 Bethesda was situated on the bank of the Surinam River. 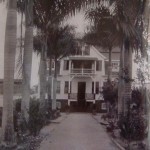 The Protestant Moravian Mission founded the leprosarium in 1899. The nurses were religious sisters. The asylum was set up with the appearance of a small agricultural town, in pleasant surroundings, with fields for cultivation. The residents lived under the rules of Bethesda. These 17 articles outlined the administration and the rights and duties of the nursing sisters. The Sister Superior was responsible for the pharmacy. 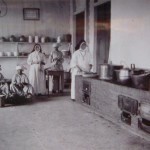 Another Sister directed the preparation and distribution of food in a communal kitchen. 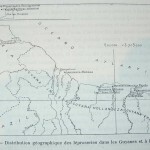 Bethesda patients were permitted short visits from those at Chatillon on the first Sunday of each month for two and a half hours. They were not allowed to buy or sell anything from each other. Everyone in the asylum was obliged to clean and maintain their own house, the veranda, the garden, and the land surrounding it. Patients were encouraged to help each other and to contribute when the Director or Missionaries requested their assistance. The patients did not receive wages for their work in the garden, the workshops, or at home because this work was considered the duty of every able-bodied individual. From 1910 to 1921, the numbers in the asylum were respectively: 42, 47, 51, 56, 52, 45, 52, 53, 53, 52, and 62. Heráclides César de Souza Araújo thought that the leprosarium of St Gerardus Majella was potentially suitable as a centre for investigating leprosy therapy. The administration section consisted of three large wooden pavilions. It was separated from the other part of the colony by the river. 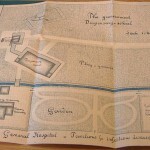 Over the river, the first part, from the river to the church, consisted of a beautiful garden, and the second part extended from the church to the football grounds. The asylum consisted of thirty houses with two bedrooms each. There were fifteen houses for men and fifteen for women. Amongst additional houses, there was a pavilion each for boys and girls. The layout of these houses was picturesque, isolated, but connected by a covered sidewalk. The people were clean and well dressed. The church was very beautiful. Behind the church, on the left, there was a recreation area, a large common kitchen, and a laundry. There were cows, a barn, pasture and vegetable gardens. 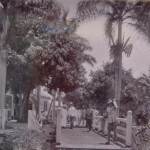 Everyone worked either on the plantations, in the garden, the workshops, the laundry, or the sewing workshop. Souza Araujo was pleased to see the evident discipline and care. People had allocated hours for work, study, rest, gymnastics and recreation. There were concerts. The doctor gave weekly injections of the oil of chaulmoogra to some and others ingested the oil. From 1910 to 1921, 115 people were isolated, on average.